Chlorella powder There is 1 product. 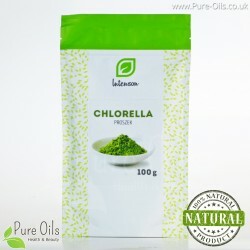 Chlorella powder contains essential fats, vitamins and proteins that we need in our diet. It is a source of minerals such as phosphorus, iron, magnesium, zinc, calcium and potassium. Chlorella is a single-celled, sweet algae.